Wearing my corduroy skirt I bought about 4 years ago with the cute shirt I tend to wear with leggings and a short necklace; always a short necklace. 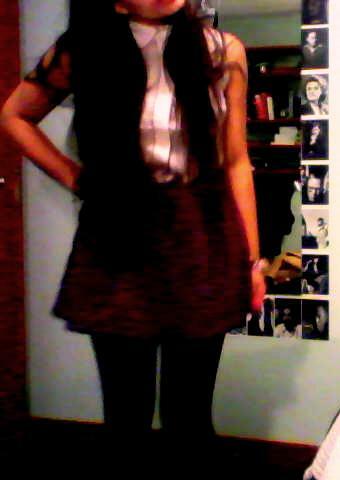 Love this outfit, its so cute and, although you can't see it, the skirt has little hearts on it as buttons! Really really lovely.